Renault-Nissan working on new compact SUV on V-Platform? Autoincar and Bloomberg have reported that the Renault-Nissan alliance is working on bringing out a low-cost SUV on the V-platform by 2013, which will take on the role of the Juke's younger brother. Remember that the Juke itself is the Qashqai's younger sibling. The Nissan V-Platform will be worked on for the next few years to yield a sedan and MPV, apart from the hatchback (Micra) which hits showrooms next month. The platform is designed in such a way that it can host engines up to the size of 1.5-liters. 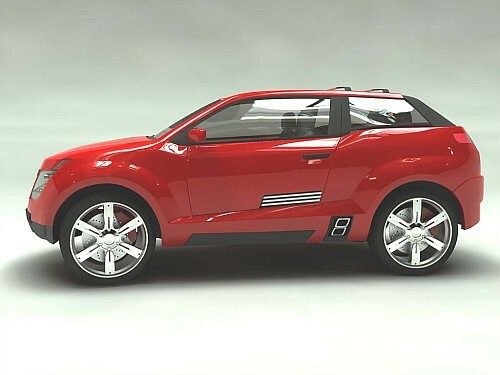 If the SUV comes out in the next three years, it will be the fourth derivative of the V-Platform. Didn't we talk about the rush of mini SUVs awaiting us in the coming years a few days ago? The signals are only getting stronger by the day. Fiat CX-Over - "Emotional like a SUV and practical like an MPV"